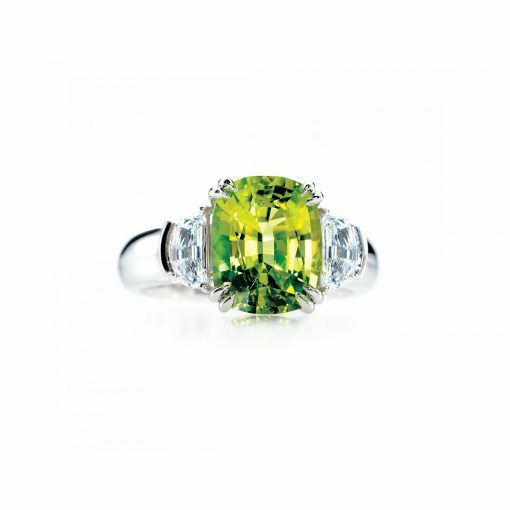 4.22ct Fancy Chrysoberyl ring with half moon cut White Diamonds set in platinum. This archive design is proudly being worn by its new owner. Should you be inspired by this bespoke creation, please contact us to discuss how we can create something special for you.